How many sets per exercise? For gaining strength and muscle mass. How Many Sets Is Best? How many sets do you need to do for each muscle group (or exercise) in order to build strength and muscle? In the video below I explain that you can produce gains in strength and muscle mass doing only one set per exercise, provided you train each set with sufficient effort and quality form. For about a month, I thought I might have been wrong about this. Between May and June 27 2018, on this page I had concluded that numerous studies (still discussed below) indicated that more volume (more sets) produces more results. I had temporarily forgotten that most published research findings are false and merely reflect the prevailing bias of researchers and reviewers , and that meta-analyses are highly subject to bias because the reviewers pick and choose what studies they desire to include in their review . I had also failed to consider the implications of other research I had discussed on other pages of this site. For example, in my review of Body By Science I referred to Burt et al. who demonstrated that young women gained 38% in hip and thigh strength over 8 weeks of training the leg press with only one set once weekly, and 60% with only one set twice weekly . Those are gain rates of 4.75% to 7.5% per week, which if sustainable would result in gains of 237.5% to 375% per year, using respectively only 1 or 2 sets per week for training. Are you gaining more than 200% per year? Would it be realistic to expect a gain greater than 375% per year by increasing volume from 2-3 sets per week to 10+ sets per week? No. 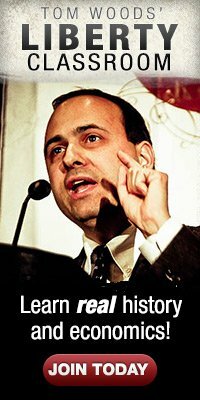 "Since I made that video I have become aware of evidence that indicates that many – probably most – people will benefit from performing a larger volume of training, in the range of 6-9 sets per muscle group per week, which translates to 3-5 sets per muscle group per session, depending on whether you perform 2 or 3 sessions weekly for the muscle group. "Some of this research shows that a large segment of people – especially older individuals – are due to genetics or aging more or less resistant to the resistance training stimulus and require more than one set per muscle group to progress. Other research has revealed that larger set volumes produce more post-training protein synthesis, and that performing 6-10 hard sets weekly per muscle group results in greater gains in strength and muscle mass than less than 5 sets per muscle group each week. "While some people can build some strength and muscle mass doing less than 5 work sets per muscle group per week, most people will build more strength and muscle and get greater improvements in health by performing larger volumes of resistance training, in the range of 6-9 hard sets weekly." After some experimenting and critical thinking, I have realized that there is a lack of good evidence that doing more than 1 set per exercise per training session or 3-6 sets per week per muscle group will produce significantly greater strength and mass gains that would justify spending more precious time in training. The claim that greater exercise volume produces more gains is based on the idea that mechanical work load, computed crudely by multiplying exercise repetitions times load, plays an important role in stimulating gains in strength and mass. It is well proven that we can gain strength and mass without performing any mechanical work at all, by doing isometric exercise. Since work is defined as force x distance, and during isometrics you do not move the resistance or load any distance at all, from a physics point of view you perform no work during isometric exercise. Also, an isometric hold for some duration is exactly 1 repetition. Nevertheless, during an isometric hold you exert a large amount of force over a period of time, produce muscular fatigue, and endure metabolic strain. These are the factors that stimulate improvements in functional ability, not the number of repetitions you perform. 1. I do my dips dropping quickly half way to the bottom, with elbows at 90º, and bouncing up out of the bottom, each repetition taking ~ 2 seconds, and stop at 10 repetitions without coming near muscular failure. Let's say my bodyweight is 160 pounds. According to the conventional volume calculation, I just did 1600 pounds of work. My time under load is 20 seconds. I am not even breathing hard at the end. 2. I do my dips by lowering myself slowly into the bottom position in ~3 seconds, pause for 1-2 seconds with my shoulders near the bars (elbows at 45º), then push smoothly out of the bottom, so that with maximum effort the concentric ROM takes 2 seconds, and I reach muscular failure at 6 repetitions. According to the conventional volume calculation, this is only 960 pounds of work. My time under load is 48 seconds. I am breathing like a freight train at the end. According to the conventional beliefs about training volume, the first set is more productive than the second because it involves more volume load. However, it should be obvious that the first scenario is not going to impose anywhere near the force or metabolic demands on the involved muscles as the second scenario. If it is not obvious to you, you should try these two methods of performing dips and compare yourself. Which of these two really exposed the muscles to the greatest volume of exercise? The second, in which muscles were made to handle the load for more than twice as much time as in the first scenario. One point is that a repetition is an inadequate measure of exercise volume. A 2 second duration repetition is at best one-half the volume of loading as a 4 second duration repetition. I say at best because besides time alone does not measure difficulty of loading. Two repetitions or sets may have the same duration, but if one involves pausing to hold the weight still for 1-2 seconds in the most difficult position, while the other involves pausing for 1-2 seconds in the least difficult position, the former imposes greater demands than the latter. All this indicates that one properly performed set can in fact impose far more direct demands on a muscle group and also general demands on cardiorespiratory function than two or even three haphazardly performed sets. Colakoglu et al investigated the effect of genotype on response to single vs. multiple set training . Humans have a gene coding for the angiotensin converting enzyme (ACE). The 'D' (deletion) variant of the ACE gene produces a higher ACE expression than the 'I' variant, and ACE plays a role in muscle hypertrophy in response to loading. The D-allele has been associated with greater sprint capacity and higher fast twitch muscle fiber ratios, while the I-allele is overrepresented amongst endurance athletes and associated with muscular endurance, running economy, adaptation to hypoxia, and higher slow-twitch fiber ratios. Colakoglu et al. reported that people with the DD genotype – constituting about 40% of the population – respond better than either DI or II genotypes to resistance training of any type, and also respond just as well whether using a single-set or a multi-set resitance training program. In contrast, people with the DI or II genotypes – making the majority (60%) of people – respond relatively poorly to single set programs and much better to programs including multiple sets. Also, DI and II genotypes appeared to benefit more from using loads allowing 12-15 repetitions rather than only 8-12 repetitions. Does this prove that all people of DI or II genotypes should perform multiple set programs? First of all, remember that most published research findings are false and reflect the bias of the researchers and reviewers of the research . So far as I know, this finding has not been replicated by other researchers. Until someone replicates this exact finding with the same procedure, this remains unconfirmed. Nevertheless, in the video above I did note that some muscle groups and some people may benefit from longer time under load or multiple sets. This is a matter to be determined on a case-by-case basis through individual experimentation. All trainees should seek the minimum volume dose necessary to produce the highest rate of sustained progress. This means you should test one set per muscle group for a sufficient period of time – I would say at least 3 months – and record the rate of gain. Then, add a second set for 3 months and record the rate of gain. If you find that adding a set improves the rate of gain, keep it; if not, discard. How many sets for maximizing protein synthesis? Some researchers have reported that performing multiple sets of exercise for a muscle group in each training session will result in greater post-training protein synthesis and subsequent gains in strength and mass [4, 5]. They suggest that, for any given muscle group, 3 sets of exercise is more anabolic than 1 set and may over time lead to greater muscle hypertrophy. This research suffers from a bias toward increasing the quantity of exercise sets rather than improving the quality of exercise performance or the time under load in a single set. Burd et al. had subjects perform their leg extensions "to volitional fatigue," i.e. to the point of choosing not to go on . This is different from training to the point where you can't go on, i.e. as many repetitions as possible (AMRAP) or muscular fatigue. So at best this study showed that if you don't train using AMRAP, you may need multiple sets to get good results. "Participants completed 10 wk of unilateral knee extension resistance training. Each leg was randomly assigned in counterbalanced fashion to one of three possible unilateral training conditions: one set of knee extension performed to voluntary failure at 80% of 1RM (80%-1); three sets of knee extension performed to the point of fatigue at 80% of 1RM (80%-3); or three sets performed to the point of fatigue with 30% of 1RM (30%-3)." So you can see in their own words, the single set group performed their exercise "to voluntary failure," i.e. until lacking the will to continue, whereas the multiple set groups are said to have performed the exercise "to the point of fatigue." This makes me wonder again whether the 80%-1 group subjects did AMRAP sets, or just stopped when they didn't want to deal with any more discomfort. Also, in Table 1 they report that the 80%-1 set group produced mean increases in vastus lateralis muscle type 1 (fatigue resistant) and type 2 fiber areas of 16% and 20% respectively, while the 80%-3 set group produced increases of 17% and 16% respectively. In other words, this table reports the 80%-1 set group had if anything a better response, particularly in the type 2 fibers which have more hypertrophy potential. Further, there were no significant differences in strength increases between the groups. Yet in Figure 1 and the text they claim that the 80%-3 and 30%-3 groups "showed more that double the average hypertrophy of the 80%-1 condition" measured as quadriceps volume (7% versus 3%). It is unlikely that the changes in strength and vastus lateralis area can be similar or superior in the 80%-1 set group yet the actual muscle volume 100% greater in the 3 set groups. Perhaps the multiple set groups simply had more blood or fluid retention due to post exercise inflammation, or there was simply a measurement error, or, again, this "finding" is simply reporting the bias of the researchers, who believe that multiple sets are better than single sets. Kumar et al found no difference in muscle protein synthesis activity following either 3 or 6 sets of resistance exercise . This suggests that there is no dose response to volume. How many sets for hypertrophy? 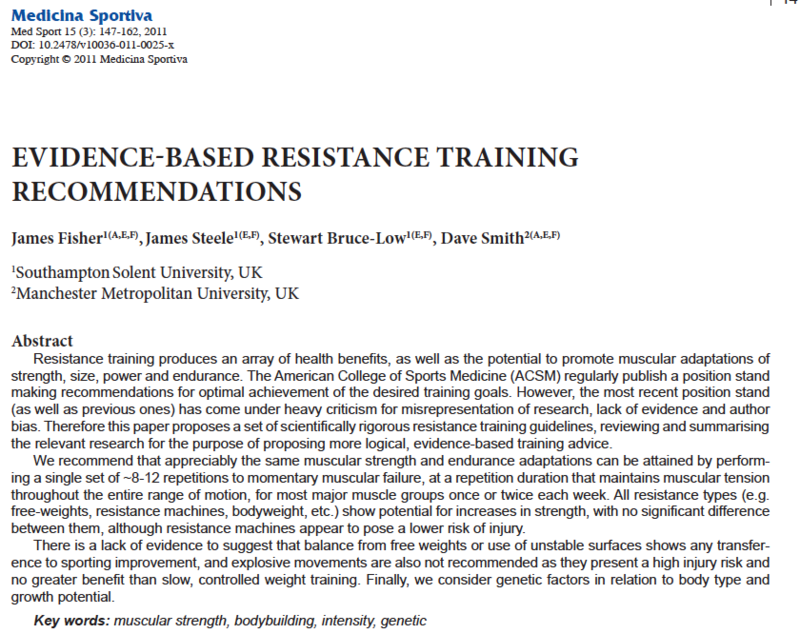 Schoenfeld et al reviewed and analyzed the results of 15 different studies including 34 treatment groups investigating how many sets of resistance training produces the greatest changes in muscle mass . They found a graded dose-response effect, such that each additional set performed produces an increased gain of 0.37%. Programs including less than 5 weekly sets per muscle group supposedly produced gains of 5.4%; 5-9 sets, 6.6%; and 10+ sets, 9.8%. Less than 9 sets weekly produced average percentage gains of 5.9% while more than 9 weekly sets produced gains of 8.0%. Unfortunately, nowhere in this paper do Schoenfeld et al. indicate the time frame for these supposed rates of gain. Is this per week, per month, per year? They are completely silent. This paper is a meta-analysis, not original research. Meta-analyses of resistance training research suffer from multiple confounding issues, mainly due to a lack of standardization of research variables and testing methods. Meta-analysis of such heterogenous data is difficult to perform or justify and consequently such studies are unlikely to provide meaningful information . Schoenfeld et al. made it well known before they conducted and published this study that they believed that multiple set routines are more productive than single set routines. Thus it is highly likely that their preconception influenced their selection of studies to include in their review, as well as their interpretations of those studies. The studies they reviewed were according to their own report quite heterogenous in how they measured hypertrophy, some using cross sectional area, some using muscle thickness, and some lean body mass measurement. Some used ultrasound, some BodPod, some DXA, and some MRI for evaluation. One study found a ridiculously large difference between a multiple set and single set intervention, 16% and 3% respectively, suggesting that a multi-set program produces more than 5 times greater hypertrophy than a single set program. Schoenfeld et al. are essentially claiming that a trainee can increase his weekly muscle gains by simply performing some extra sets. This has no rational basis. A muscle increases in actual muscle fiber mass in response to a demand for increased force production, not in response to increased duration or episodes of loading. If total load time (repetitions and sets) was the key factor, then one could gain muscle without ever increasing actual load or resistance to demand greater force production from the muscle. Just do more and more sets. It should be obvious that this is ridiculous. If increasing volume was effective at increasing muscle mass, distance runners (high volume training) would develop more muscle mass than sprinters (lower volume, high intensity training). In fact they do not. Increasing volume in fact can cause overuse atrophy of the type 2 fibers which do not tolerate endurance demands. Schoenfeld et al. state that their findings may be "attributed at least in part to the cumulative effects of time under tension at a given load. Hypothetically, repeated within-session stimulation of muscle tissue is necessary to drive intracellular signaling in a manner that maximizes the anabolic response to RT." However, if time under tension is the key factor, a greater time under tension can be achieved in a single set by simply improving exercise form. Many people perform resistance exercises with rapid movement producing single sets that are ~20 seconds or less in duration. You would need 3 or more of these to produce the time under load of a single properly performed set that loads the musculature for 60-90 seconds or more. This returns to my point that counting sets and repetitions is primitive and ineffective, if time under load is what counts. Recall from above that Burt et al. reported strength gain rates of 4.75% per week for subjects performing only one set per week, and 7.5% per week for subjects performing only two sets per week . I do not believe there is any evidence that doing 4 sets weekly will result in strength gains of 15% per week. I certainly have never experienced such happening in anyone other than a rank beginner. Schoenfeld et al. believe that 10+ sets per week increases mass gains because increasing sets may increase muscle protein synthesis. If you perform 10 weekly sets for a muscle group training 2-3 times weekly you will need to perform more than 3 sets per muscle group per session. As already noted, Kumar et al found no difference in muscle protein synthesis activity following either 3 or 6 sets of resistance exercise . This suggests that no dose response for protein synthesis exists for set volume above 3 sets, so increasing set volume would not increase mass gains. How many sets for strength? Ralston et al. reviewed and analyzed nine studies including 61 treatment groups. They divided weekly set volume into low (<5 sets), medium (5-9 sets), and high (10+ sets). They found a graded dose-response relationship between weekly set volume and strength gains. Interventions with low weekly set volume produced the smallest pre- to post-training strength difference. 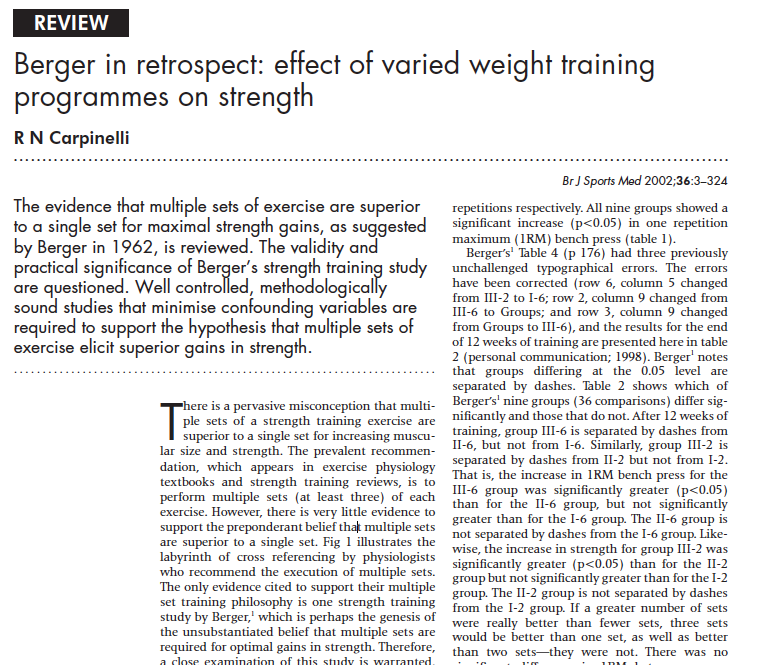 Novices and intermediate trainees obtained greater strength improvements with medium and high weekly set volumes. The claimed that advanced trainees require medium or high weekly set volumes to produce strength gains. Once again, this is a meta-analysis, which suffers from selection bias and the limits and heterogeneity of the included studies [1, 11, 12] . Further, it is highly unlikely that anyone can increase real strength much faster than the 7.5% found by Burt et al. for just 2 sets per week. All of these studies reviewed by Ralston et al. involved typical exercise performance. Subjects move rapidly, their sets are of short duration, they do not efficiently load the muscles using proper form, and they typically stop short of AMRAP. Under these conditions, some people may indeed need produce better results with multiple sets, although that is questionable as well since reviews by Carpinelli and others have failed to find any significant difference in strength or mass outcomes between single-set and multiple-set training. How many sets for older adults? Borde et al. reviewed 25 studies of the effects of resistance training on older people with a mean age of 65 or older, to find out how many sets produces the best strength gains . They reported that for both strength and muscle hypertrophy, the most effective volume was two to three sets per exercise, performed twice weekly for strength and thrice weekly for hypertrophy. Once again, this is a meta-analysis subject to all of the limitations of such "studies" [1, 11, 12]. A study of 376 women with an average age of 70 years found no non-responders among those who performed resistance training with either low or high volume (12-18 sets weekly or 24-30 sets weekly, respectively). Both low and high volume training improved waist circumference, muscle strength and physical function . How many sets for health benefits? Figueiredo et al. investigated the scientific literature to find out how many sets of weekly resistance exercise produces the best general health outcomes . They claimed that resistance training has a dose-dependent effect on health outcomes, and no evidence for an upper limit of set volume that produces negative effects. This is an opinion paper, not original research. The claim that there is no evidence for an upper limit of set volume that produces negative effects is unbelievable. Anyone who has done any serious training will know that excess training volume can have negative effects including sleep disturbance, exercise-induced headaches, and persistent post-training fatigue to name a few. Moreover, excessive sets can as already mentioned prevent strength and mass gains through overuse atrophy and overtraining of the type-2 (fast twitch) fibers. Figueiredo et al. claim that one study demonstrated that 11 weeks of 3 sets of 8 different exercises thrice weekly – a total of 72 sets weekly – was significantly superior to a single set of the same exercises – 24 weekly sets – for reducing resting fat oxidation and triglyceride concentrations. I am not sure why anyone wants to reduce resting fat oxidation as that would mean you are instead burning sugar, rather than body fat. 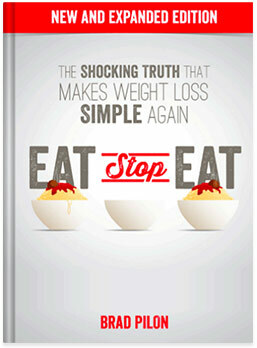 Moreover, triglyceride reduction is best achieved by limiting carbohydrate intake. 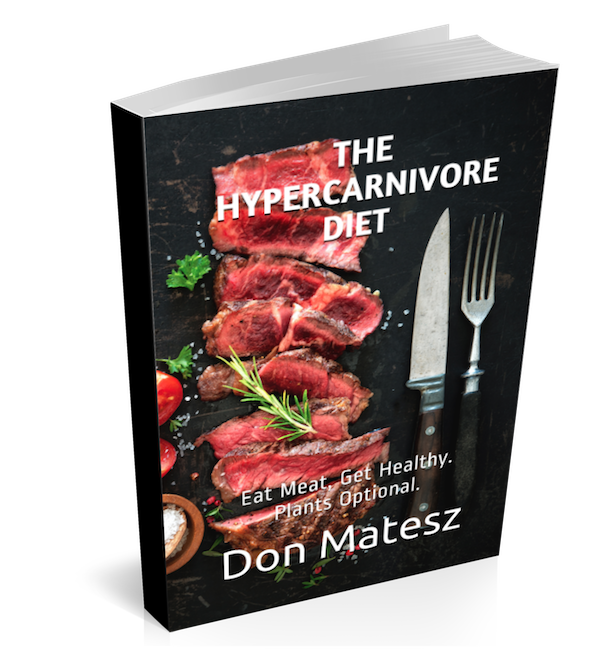 Why triple your time investment in resistance training to achieve an outcome you can achieve by cutting dietary carbohydrates, which does not cost you any of your precious time? They also claim that higher training volume has also been shown superior to low training volume for decreasing blood pressure and improving blood sugar control. One study they discuss apparently found that for every 60 minutes of weekly resistance training, there was a 13% reduction in type 2 diabetes risk. This claim is vague and improbable. What constitutes "60 minutes of resistance training"? It is impossible to do resistance training for 60 minutes continuously. There is a world of metabolic difference between 60 minutes of resistance training performing only 12 sets per hour, and 20 sets in an hour. And this ignores the set performance itself. Moreover, Figueiredo et al. claim that older people with higher risks of chronic disease tend to exhibit anabolic resistance and reduced response to training stimulus, so it is likely they require a higher volume of exercise to obtain the health benefits produced by resistance training. This is speculative and unproven. As already noted, research has found elders just as responsive to low training volume as to high training volume . In cases of low response, rather than increase the amount of exercise, it is necessary first to increase the quality of the exercise so that the muscles are more effectively loaded. Quality will always outperform quantity. Moreover, non- or low- response can be due to over training producing overuse atrophy. Seniors are likely to require more recovery time between sessions, not less, because elders are less efficient at digesting and utilizing protein. How many sets to warm up? How many sets do you need to do warm up for each exercise you perform? Unless you are doing very high load low repetition training, none. Research has failed to find any benefit to performing specific warm up sets for sub-maximal resistance training (6-20 reps per set). In fact, depending on how many sets you do for a specific warm up, you could actually reduce your performance on your work sets, which would result in less stimulus for improvement in strength and muscle mass. In summary, there is a lack of really good quality research to support claims that we need to perform more than one set per exercise, or a high number of sets of weekly resistance exercise for each muscle group to obtain the desired outcomes of muscle strength and mass. Rather than following arbitrary prescriptions for weekly sets, each individual should only do as many weekly sets as produces a consistent rate of progress. Generally this is in the range of 1-3 sets per week. 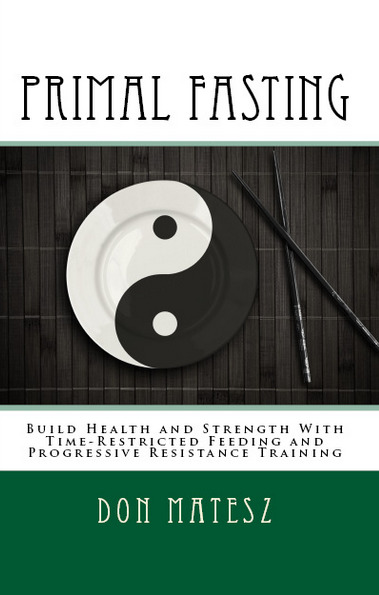 Read my page on Strength Training Guidelines to learn how to design a routine. 2. Burt J, Wilson R, Willardson J. A comparison of once versus twice per week training on leg press strength in women. J Sports Med and Phys Fit 2007 May;47:13-17. 3. Colakoglu M, Cam FS, Kayitken B, et al. ACE Genotype May have an Effect on Single versus Multiple Set Preferences in Strength Training. Eur J Appl Physiol 2005;95:20-27. 4. Burd, Nicholas A et al. “Resistance Exercise Volume Affects Myofibrillar Protein Synthesis and Anabolic Signalling Molecule Phosphorylation in Young Men.” The Journal of Physiology 588.Pt 16 (2010): 3119–3130. PMC. Web. 2 June 2017. 5. Mitchell, Cameron J. et al. “Resistance Exercise Load Does Not Determine Training-Mediated Hypertrophic Gains in Young Men.” Journal of Applied Physiology 113.1 (2012): 71–77. PMC. Web. 2 June 2017. 6. Kumar, Vinod et al. “Age-Related Differences in the Dose–response Relationship of Muscle Protein Synthesis to Resistance Exercise in Young and Old Men.” The Journal of Physiology 587.Pt 1 (2009): 211–217. PMC. Web. 2 June 2017. 7. Schoenfeld BJ, Ogborn D, Krieger JW. Dose-response relationship between weekly resistance training volume and increases in muscle mass: A systematic review and meta-analysis. J Sports Sci. 2017 Jun;35(11):1073-1082. doi: 10.1080/02640414.2016.1210197. Epub 2016 Jul 19. Review. PubMed PMID: 27433992. 9. Borde R, Hortobágyi T, Granacher U. Dose–Response Relationships of Resistance Training in Healthy Old Adults: A Systematic Review and Meta-Analysis. Sports Medicine (Auckland, N.z). 2015;45(12):1693-1720. doi:10.1007/s40279-015-0385-9. 10. Figueiredo VC, de Salles BF, Trajano GS. Volume for Muscle Hypertrophy and Health Outcomes: The Most Effective Variable in Resistance Training. Sports Med. 2018 Mar;48(3):499-505. doi: 10.1007/s40279-017-0793-0. PubMed PMID: 29022275. 11. Carpinelli RN. Critical review of a meta-analysis for the effect of single and multiple sets of resistance training on strength gains. Medicina Sportiva 2012;16(3):122-130. 12. Gentil P, Arruda A, Souza D, et al. Is There Any Practical Application of Meta-Analytical Results in Strength Training? Frontiers in Physiology. 2017;8:1. doi:10.3389/fphys.2017.00001. 13. Barbalho MSM, Gentil P, Izquierdo M, et al. There are no non-responders to low or high resistance training volumes among older women. Exp Gerontol 2017 Dec 1;99:18-26.